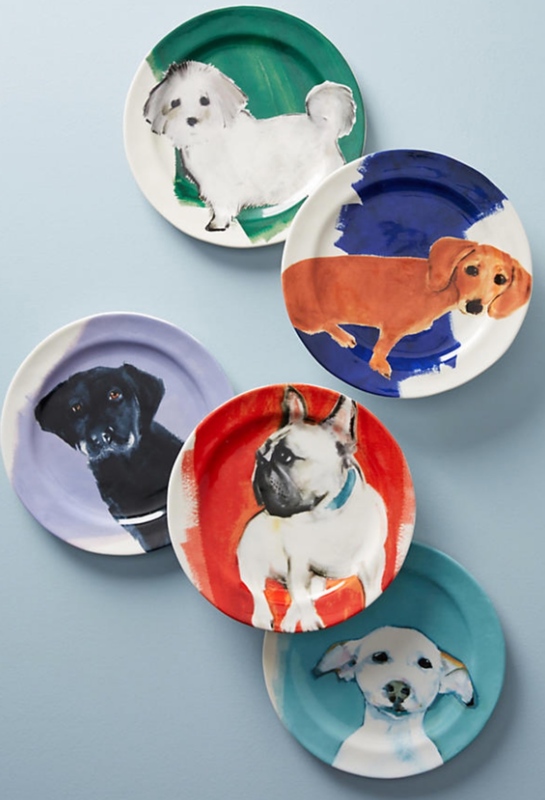 I’m going barking mad over these dog-a-day plates from the eclectic shop Anthropologie. I’m a complete sucker for a four legged friend, in fact I think I could prefer them to humans and some of these dog portraits are just so cuuute! 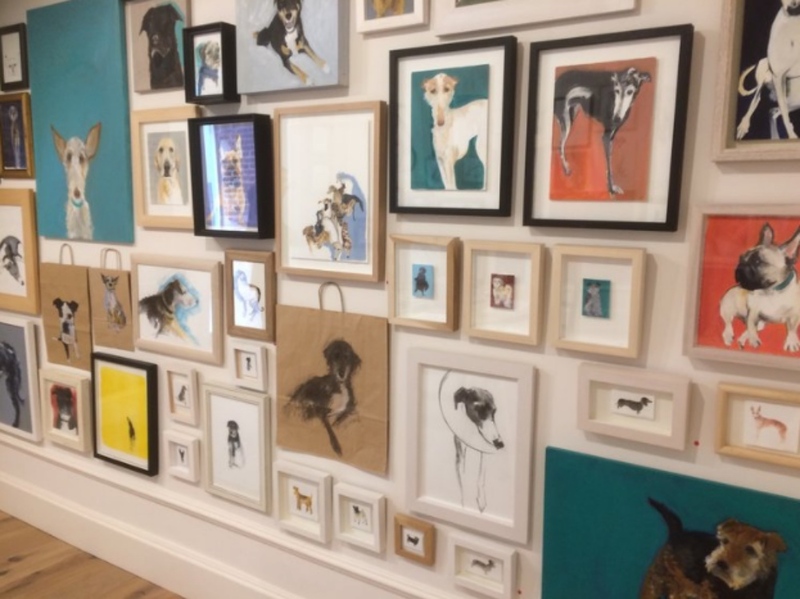 They are painted by Bath artist Sally Muir, a prodigious portrait painter of dogs. 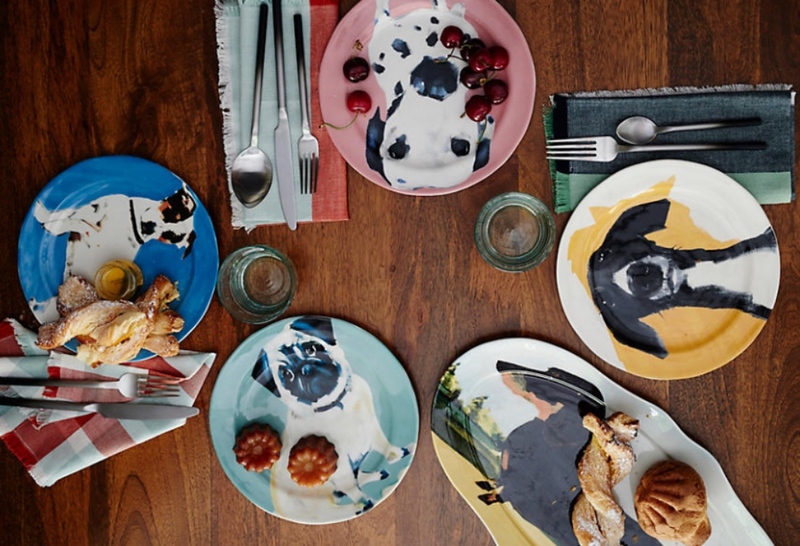 A former knitwear designer, the British artist tackled a year-long project of painting a different pup every day, resulting in a wildly popular gallery show at the Kings Road store and this exclusive tableware. 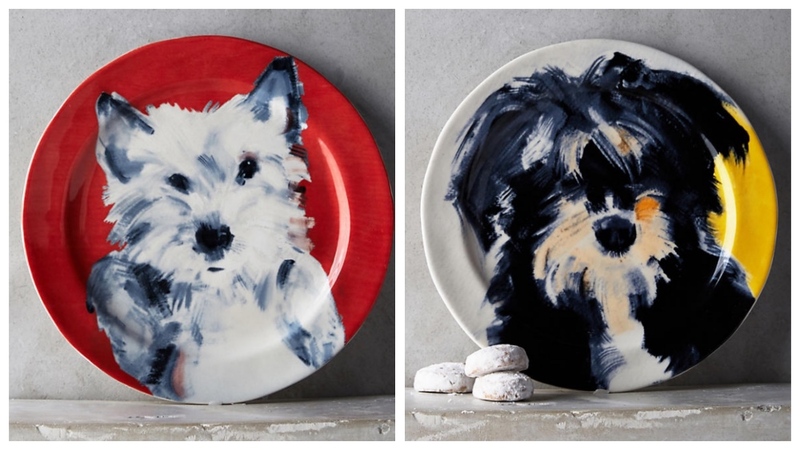 These fun plates would look great gracing any kitchen table for a laid back weekend brunch. They’re just too fine to be hidden away in a cupboard, if you’ve got a dresser then wouldn’t they look artistic lined up in a row. Alternatively nail them to your kitchen wall for some instant fun art. 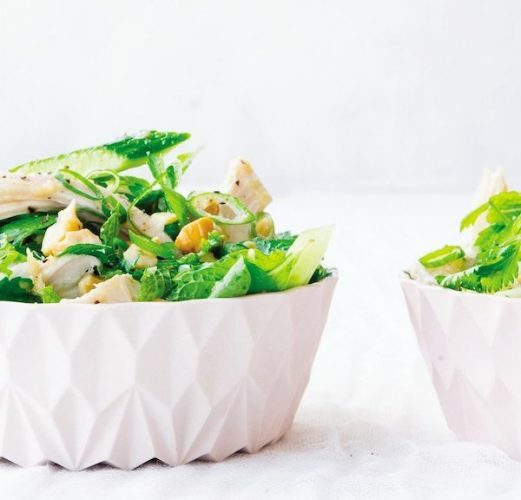 They’re made from stoneware and are 21.5cm wide – they’re not going to be your fine dining plates, as they aren’t big enough. They work well as a light bite kitchen supper plate or a brunch, cheese or a starter plate. Better still the mini mudders love them and I’m already enticing them to eat all kind of healthy things that usually are on their ‘yuck’ list in return for a plate of their choice – bribery is king in my good parenting book! Oh and did I mention that they’re dishwasher and microwave safe? 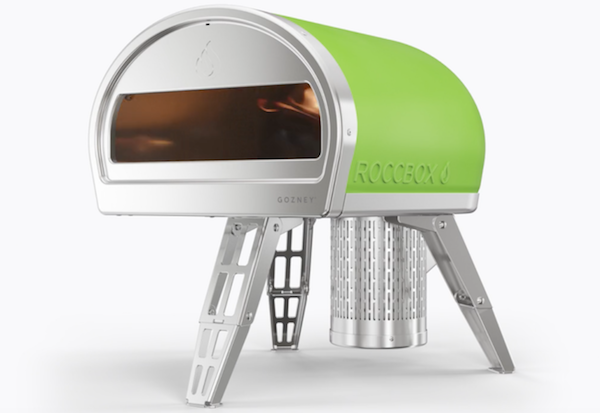 So which one is your favourite? We’ve fallen in love with these two terrors. 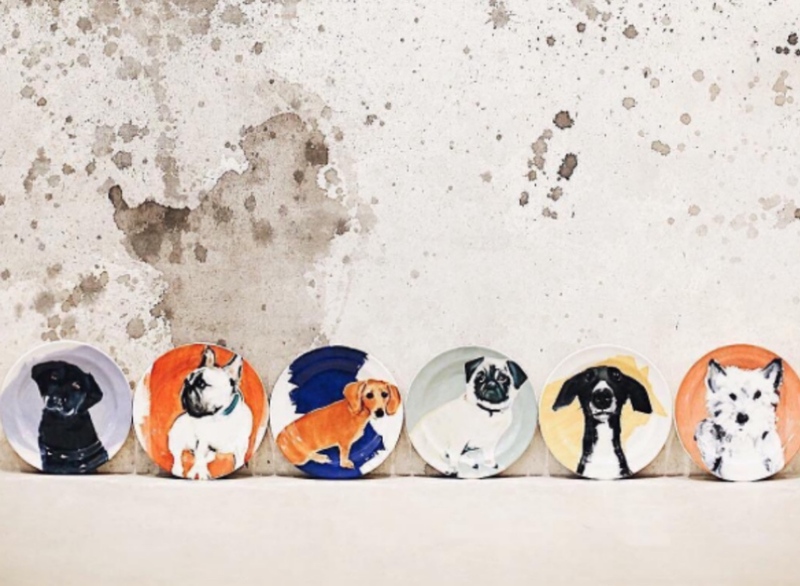 There are 10 different breeds to choose from and they cost £14.00 which I didn’t think was too steep bearing in mind you’re having a piece of art on your kitchen table. 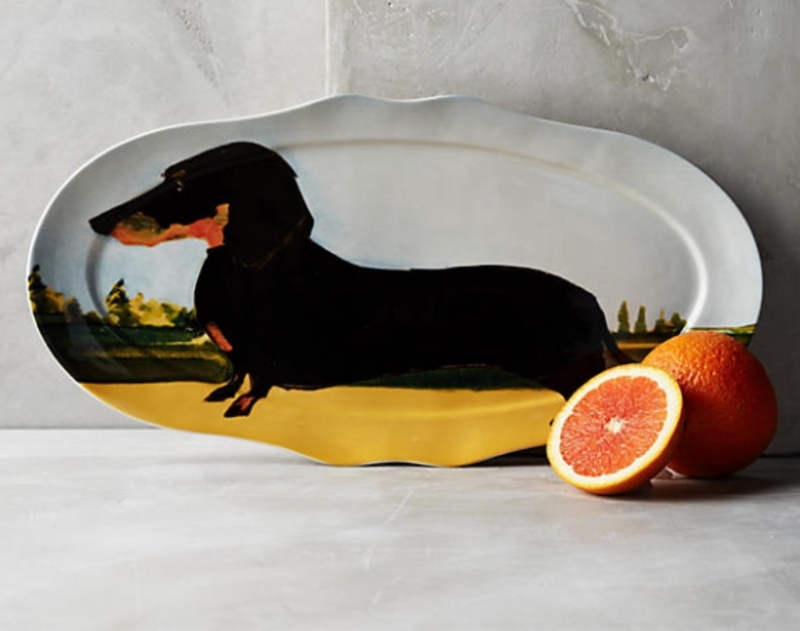 The dachshund platter (well that’s what I think it is) is £38 and measure 43cm long and 21.5cm wide. 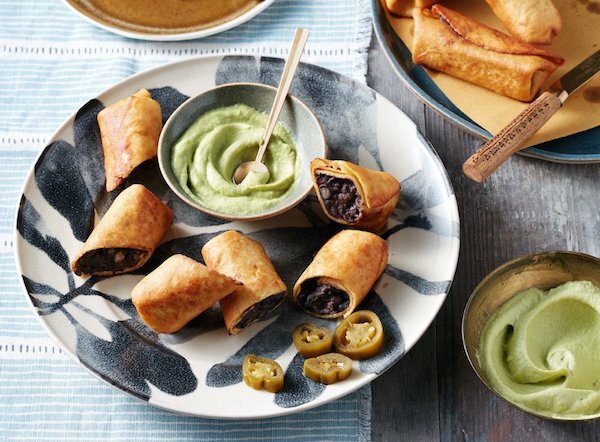 Anthropologie has stores in London and Guildford but if you’re not planning a trip to the smoke anytime soon you can buy them online and get them delivered safely to your home.